MRI is a very strong tool that uses a magnetic field instead of x-rays for diagnostic imaging. MRI has proven very safe for medical imaging. We have both 1.5T and 3T magnets available. The patient will be placed on a moving table that moves into a cylindrical machine. We have diversion aids to allow the patient to better tolerate the relatively small space. We also have an “open” magnet which helps with patient who has trouble lying in the smaller space of our standard magnets. We provide imaging of the brain, spine, extremities, joints, breast, chest, abdomen and pelvis. 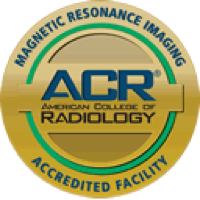 We have subspecialty trained radiologists to interpret the majority of these exams.